You’ve probably seen these signs posted in public restrooms — in fact, health departments in most states require them for restaurant and food service workers. What signs am I talking about? While I do feel strongly that all employees must wash their hands after using the restroom, I really wonder if the signs make a difference. Would you remember to wash your hands after seeing this sign if you weren’t inclined to do it anyway? That said, if these signs remind just one worker, it’s a plus. Handwashing is considered the number one way to prevent foodborne illness. The Centers for Disease Control and Prevention (aka the CDC) call handwashing a “do-it-yourself” vaccine that you can do to reduce the spread of illness. Regular handwashing, particularly before and after certain activities (like going to the restroom) is one of the best ways to remove germs and prevent the spread of germs to others. You see, human feces are a source of germs like salmonella, E.coli, and norovirus. These pathogens can get onto hands after people use the restroom. Research by Franks et al. in 1998 showed that a single gram of human feces can contain one trillion germs. If not washed off, these germs can contaminate surfaces like tabletops, door knobs, and handrails, along with getting into food and drinks. Now I know that this isn’t rocket science, or even new information. 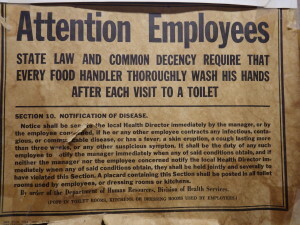 I was recently teaching food safety at a local restaurant and they showed me an old sign in their employee restroom. They said it has been there since 1958, before they owned the restaurant. It’s still hanging next to the current version of the handwashing sign. Perhaps the two signs together will at least catch the attention of their workers. 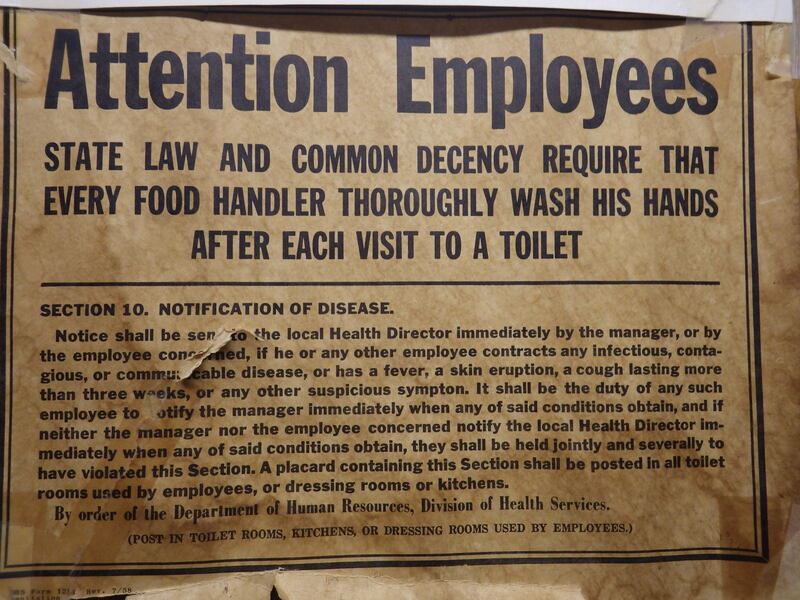 I like what this older sign say “State law and COMMON DECENCY… require that every food handler wash his hands after a visit to a toilet…” and so should you. 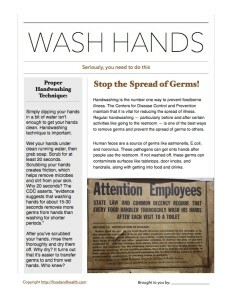 Help spread the word about the importance of handwashing with this fantastic PDF handout! 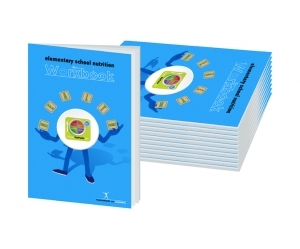 And here are a few more health and wellness resources, straight from the Nutrition Education Store! Hey, do you remember that Chop Test article you saw a while back? How about that Prediabetes Guide? If you do, then you’re not alone. Lots of people reached out and told me that those were two of their favorite posts. 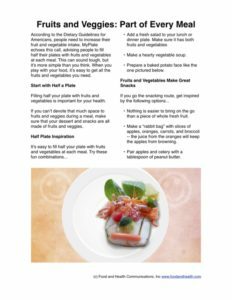 So many, in fact, that I decided to take those posts to the next level and turn them into nutrition education materials. The Chop Test offers a simple and memorable guide to cooking with vegetables, so I decided that the key points would make a marvelous poster that could be hung in a commercial kitchen, posted in a health fair booth, propped up for a cooking demonstration, or incorporated into a nutrition display. 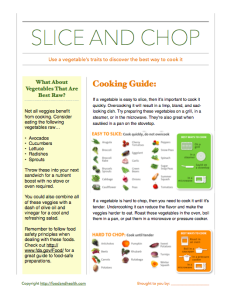 This guide to properly preparing vegetables is as versatile as it is useful. 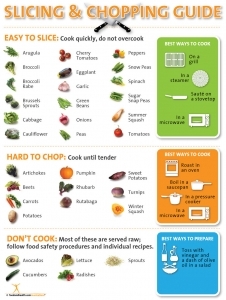 With a simple test to tell which kind of vegetable is best for which cooking style, this bright and informative poster will help your audience gain kitchen confidence while introducing new vegetables into their eating plans. Will this poster make your life easier? Learn more about it! Now let’s change gears and take a closer look at the new Prediabetes poster. The statistics on prediabetes are astounding. My hope is that we can help our practitioners help people avoid diabetes entirely — heading it off before prediabetes turns into full-blown diabetes. This poster offers an excellent screening tool that is done in an engaging infographic style. 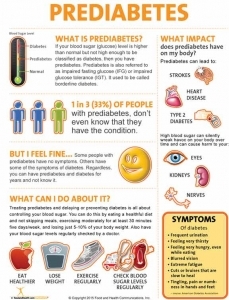 With information on what prediabetes is, how it affects the body, what symptoms it displays, and what the average consumer can do to reduce his or her risk of prediabetes (or treat the condition itself), this poster offers a bright and simple way to educate your audience. Throw it in a display, use it to pep up a shared space, add it to a wellness fair booth, or hang it in your office — it will be a great educational resource for whatever you need. This poster uses colorful graphics, simple sentences, and clear diagrams to appeal to a wide range of learning styles, promoting participant engagement while boosting information retention. It draws its information from the Centers for Disease Control and Prevention (CDC), the American Diabetes Association (ADA), and the National Institutes of Health (NIH), so you know that the research that backs it is supported by the latest peer-reviewed science. Intrigued by this poster? Get the details today! And, because I love ya, I want to share the handout that accompanies the Chop Test poster. Here it is, in all it’s glory! 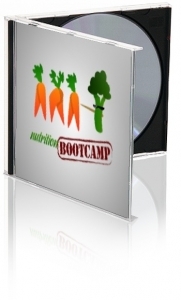 Download the free PDF today! We’re here to help you look your very best, right now! So which resource will make your life easier?